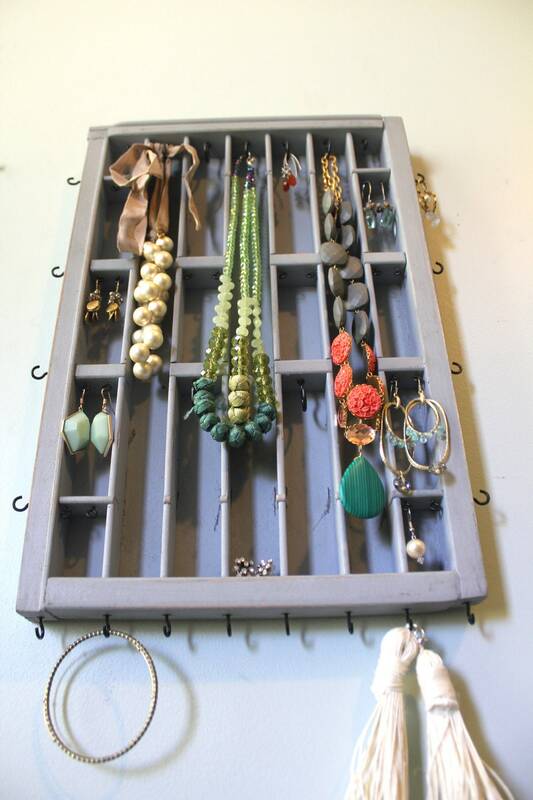 Repurposed Antique Printer Drawer to display your earrings and more! 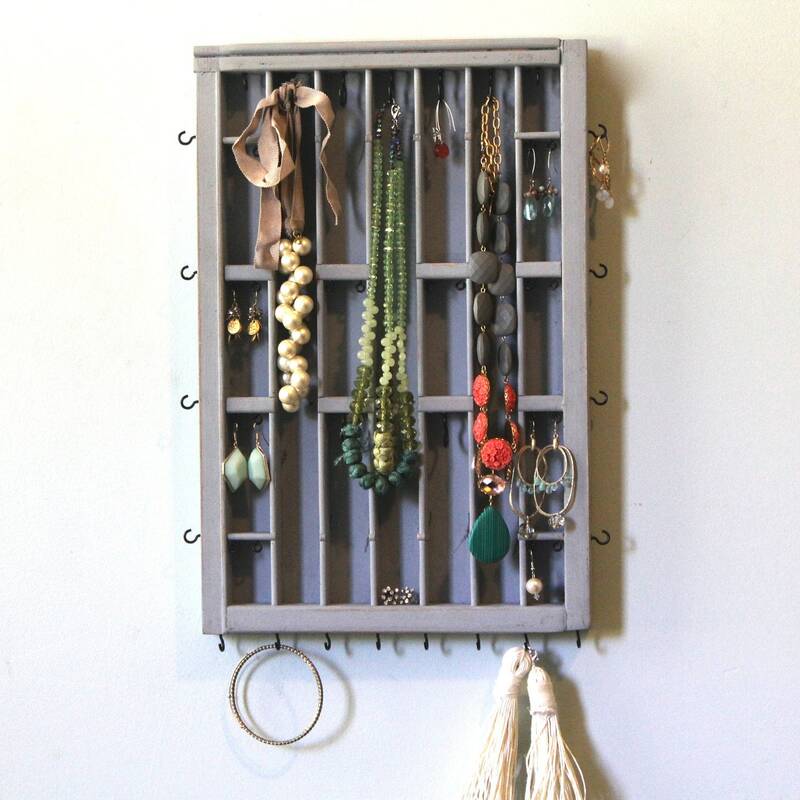 This listing is for a GRAY DISTRESSED drawer made to hold a variety of accessories. 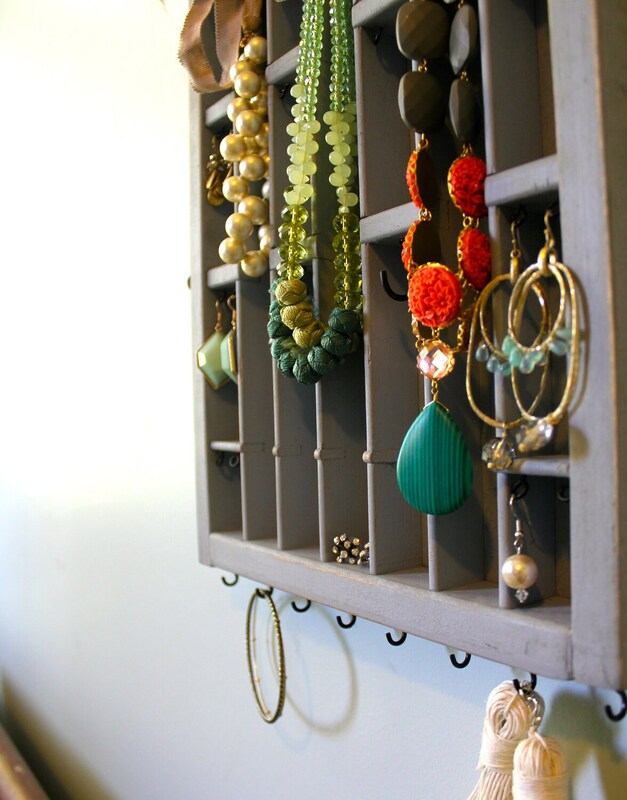 All jewelry is for presentation. 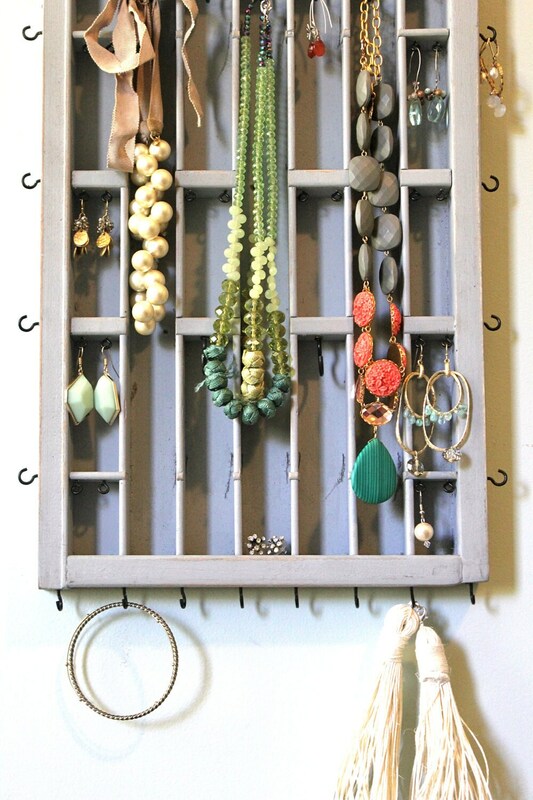 This creation is meant to organize your earrings, bracelets, and necklaces into a little work of art. 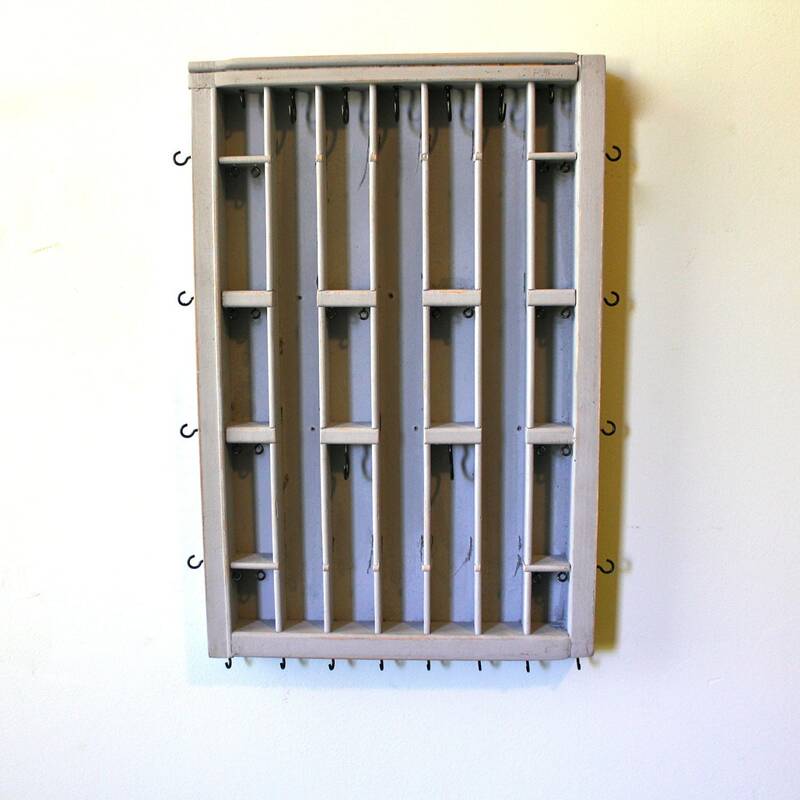 Comes with 2 sawtooth hangers attached to the back for easy wall installation. Felt is also applied to the back.